Ready to get up-close and personal with one of nature’s quirkiest creatures? Then check out our awesome octopus facts! Octopuses are sea animals famous for their rounded bodies, bulging eyes and eight long arms. 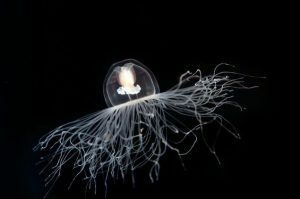 These cool critters live in all the world’s oceans, but they’re especially abundant in warm, tropical waters. Like their cousin, the squid, octopuses are often considered ‘monsters of the deep’, lurking in the depths of the seas. However, there are some kinds of octopus that live in relatively shallow waters. Most octopuses stay along the ocean’s floor, although some species are ‘pelagic,’ meaning they live near the water’s surface. Other octopus species live in deep, dark waters, and rise from below at dawn and dusk to search for food. They perform their famous backward swim by blasting water through a muscular tube on their body called a siphon. 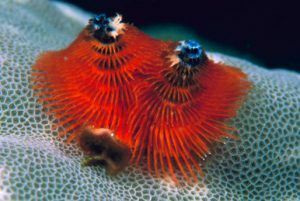 They also crawl along the ocean’s floor, tucking their arms into small openings to search for food. Favourites on the octopus’ menu include crabs, shrimps and lobsters, but they will sometimes eat larger prey, too, such as sharks. When going for grub, octopuses typically drop down on their prey from above, and then use the powerful suctions that line their arms to pull their victim into their mouth. Did you know that we have a FREE downloadable octopus primary resource? Great for teachers, homeschoolers and parents alike! Octopuses themselves provide tasty meals for other sea creatures, such as seals, whales and large fish, who like to gobble them up. But these eight-armed animals have a few cheeky tricks to help defend themselves! If threatened, octopuses shoot an inky fluid from their body that darkens the water around them, confusing the aggressor. They can also hide and blend in with their surroundings, too, by changing colour to grey, brown, pink, blue or green. Impressive stuff! As well as for camouflage, these incredible invertebrates use colour change as a way to communicate with other octopuses. For the most part, octopuses are solitary creatures and live alone in dens made from rocks. And check this out – they build their dens themselves by moving the rocks into place with their powerful arms. Cool, eh? These brilliant builders sometimes even fashion a rock “door” that pulls closed when the octopus is safely inside the den. Although octopuses are not considered endangered, they do face dangers from human activity. 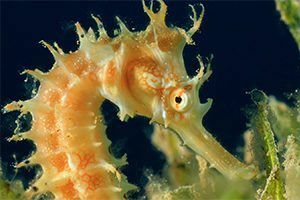 Such threats include habitat destruction, and a reduction in their main foods due to over fishing and marine pollution. Picture credits – Octopus and its tentacles: Michal Adamczyk, Dreamstime. Octopus shooting inky fluid: Vittorio Bruno, Shutterstock. Octopus blending in with ocean floor: Serban Enache, Dreamstime. I love Marine-Biology. I would like to become a Marine-Biologist when I'm older. All of this facts about Sea Life is just so WOW! This is a great site! I love all the facts and info about animals! I want to be a scientist when I'm older so all of this is really useful. i absolutely love nat geo kids it has so many fact about animals that make me smarter i absolutely love nat goe kids !!!!!!!!!!!!!!!!!! These facts are so cool! I love National Geographic Kids! We love Octopus. We are going to see some soon. We learnt about lots of Octopus. 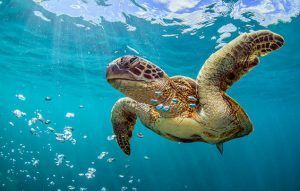 10 totally awesome facts about turtles! Check out these turt-ally mad facts about turtles!